Learn how to use empathic language and the latest findings in neurobiology to literally rewire your brain and awaken your capacity for self-love and well-being. If you’ve read countless self-help and guided meditation books, only to feel unchanged and perpetually struggling to turn toward yourself with kindness and love, then this book is for you! Through years of sharing and teaching neurobiology, I’ve learned that the impact of painful childhood experiences on the brain has not yet been widely translated into practical application within the self-help and mindfulness community. So I wrote this book (with hand-drawn illustrations by Forest Chaffee) to connect people with the understanding that we can use warm language to support and accompany ourselves and our brain can grow and heal, increasing our resilience and enjoyment of life. I’m glad you’re here and I hope this book will serve you. Why trauma and unaccompanied emotional distress leads to a critical inner voice, and how to use empathy, language and neuroplasticity to transform inner-savagery to kindness. How to meet our inner critics with kindness by seeing their desire to contribute to our safety, belonging and mattering. Why adverse childhood experiences can lead to a persistent feeling of hypervigilance, anxiety or terror, and how to create safety and a sense of “home” within ourselves. Why we become addicted to substances and activities, and how to use empathy to provide gentleness for our nervous system so that we can relax and have more choice. Your brain is capable of healing and change regardless of age, genetic predisposition or adverse childhood experiences. Why depression happens, and how to use empathy and inner accompaniment to find richness and create meaning in our lives. Why the pain in our past sometimes hijacks the present, and how to transform persistent patterns of reactivity to find balance and emotional self-regulation and resilience. How to meet suicidality, dissociation and rage with gentleness by honoring the wise and protective origin of these challenging emotional states, and how to transform those states by developing our Resonating Self Witness. Language is the starting point for the movement towards self-warmth. Fill out the form below to receive my free guided meditations and 5-email “Tip” series to transform your inner critic into your most compassionate advocate. If you’re looking for a compassionate explanation of the effects emotional trauma on your brain, and seeking solid exercises to help heal from painful and abusive childhood experiences, this book is for you. If you struggle with self-contempt; stuckness; reactivity; rumination; anxiety; PTSD or shame, this is an astonishing new method for self-regulation, healing and transformation. If you feel skeptical about new-agey spiritual stuff like meditation and self-compassion, you’ll love this book! YRS is a tour of actual science that has emerged very recently that shows us that empathy actually changes our brains, restoring our capacity for healing and wholeness. If you’re sick of chastising yourself to “be nicer,” or if you’ve practiced positive affirmations for years only to still struggle with self-acceptance, look no further! If you dislike meditation or have experienced feeling anxious or overwhelmed by mindfulness and breath practices, you need this book! Download the free guided meditations and try the warm breath exercise every day for a week, and see what happens. If you’d like tips on how to use resonant language to create a warm container for your clients to experience movement and transformation, this book will help. 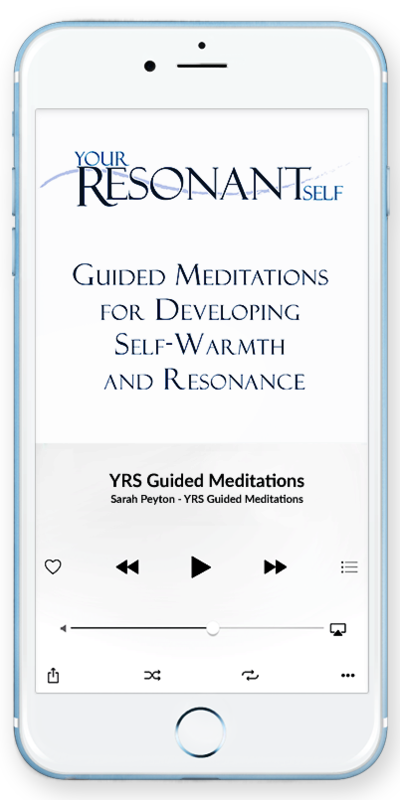 Sarah Peyton’ guided meditations go beyond the usual feel-good meditations of affirmation – they actually change our brain and our feelings about ourselves. Because they are based on the findings of neuroscience and how the brain behaves, we experience the creation of self warmth toward ourselves, call back our dissociated self and learn to hold our pain with tenderness. This is a superb book. I can’t wait to recommend it to my clients, trainees and colleagues. 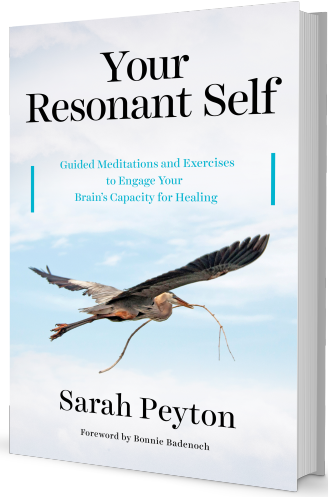 LCSW, TEP, Psychotherapist, co-author of "Integrating Psychodrama and Systemic Constellation Work"
Your Resonant Self is a brilliant book that brings together brain research with resonant/empathic communications’ technology. From healing shame and self hate to overcoming phobias and addictions, this book has it all, and from my own journey with healing and growth, I know the tools in this book work. I celebrate that Sarah wrote this remarkable book and hope it reaches around the world to create healing for all who suffer. 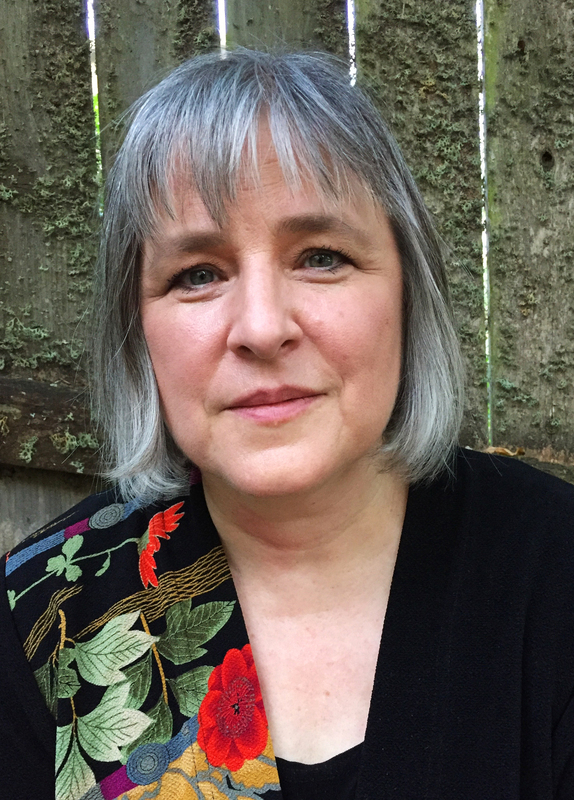 RN, MBA, PhD, author of "Humanizing Health Care" and "Choose Your Words"
In this gentle journey through the brain, Sarah Peyton brings together the latest research in neurobiology with the principles of nonviolent communication to give us an accessible understanding of how our brains work, what gets in the way, and how to move forward. I look forward to sharing this compelling combination of compassion and information with my clients, those who have been traumatized as well as those who just need help learning to love this gift called life. I used to struggle with brutal depression… deadening, heavy sadness that made it hard to muster the energy to take a shower or even brush my teeth. Back then, I was in constant battle with a savagely self-critical inner voice that told me I was worthless, stupid, and unlovable. I didn’t realize that my depression made SO much sense given my childhood experiences of family that didn’t provide warm, nourishing relationships. I’m here today to share what I’ve learned since then about how to heal past pains and move into a joyful relationship with ourselves. Regardless of your age, genetic predisposition or adverse childhood experiences, your brain is capable of building new neural fibers to help self-regulate your emotions and awaken your body as a place of safety and security. Order Your Resonant Self now and transform your self-sabotaging inner critic into your most compassionate advocate.